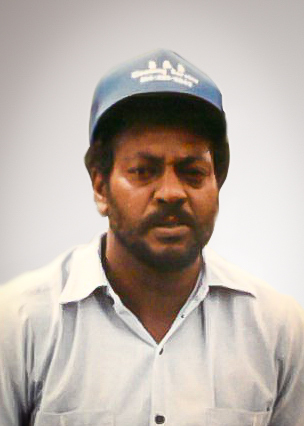 Obituary for John Patton Clark | Myers Funeral Home, Inc.
John Patton Clark, Jr., 67, of Columbia, formerly of Wellsville, passed away Friday, October 26, 2018 at The Bluffs in Columbia, Missouri. Mr. Clark was born December 25, 1950 in St. Louis, Missouri, a son of John Patton Clark, Sr. and Ida Lee Wallace Clark. He was a 1970 graduate of Wellsville-Middletown R-1 High School. 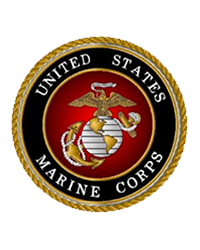 John proudly served his country in the United States Marine Corps, entering on September 23, 1970 and being honorably discharged on September 20, 1974. He was the recipient of the National Defense Service Medal, Good Conduct Medal, Rifle Qualification Badge, Sharp Shooter and Pistol Qualification Badge, Sharp Shooter. On December 10, 1983 he married Norma Kay Arnette, in Wellsville, Missouri, at the home of his mother and step-father, Ida and Dewey Britt. She preceded him in death on March 19, 2007. John was a member of St. Paul Baptist Church in Wellsville. He had lived in Wellsville most of his life, until moving to Columbia in 2015. He had been employed at ADM Soybean Meal Plant in Mexico. John had also worked for Kenalloy Foundry in Montgomery City. He enjoyed playing cards, pitching horseshoes and trying his luck with lottery tickets. John also liked to fish. Most of all, he loved spending time with his family and friends. John is survived by his four children, Larry Edward Shepherd, Jr. and wife, Deonna, John Patton Shepherd and wife, LaKeisha, Michael Lamont Shepherd and wife, Tracy and Lynn Marie Clark, all of Columbia; twelve grandchildren, Jayda Renee Shepherd, Lauryn Michelle Shepherd, Ceaira Demian Yelton, Christopher Lamont Yelton, Jordan Elliott Shepherd, JaKobe Edward Shepherd, Quincy Kay Shepherd, Callie Renee Shepherd, Chloe Nicole Shepherd, John Patton Shepherd, Ayah Kristine Hall-Clark and Lamar Lamont Hall-Clark, all of Columbia; in addition to nieces and nephews. He was preceded in death by his wife, Norma Kay “Peaches” Clark; daughter, Tina Renee Shepherd; son, Christopher Jordan Shepherd; father, John Patton Clark, Sr.; mother, Ida Lee Britt; step-father, Dewey Britt and sisters, Mary Ann Connor and Jessie Mae Clark. Funeral services were at 12:00 noon, Saturday, November 3, 2018 at St. Paul Missionary Baptist Church in Wellsville. Rev. Rosemary Camp officiated. Special music was provided by St. Paul Missionary Baptist Church Choir. Visitation was held from 10:00 a.m. until the time of service, Saturday, at the church. Burial was in the Wellsville Cemetery. Serving as pallbearers were Claude Clark, Juan Graves, Gerald Harrington, Kevin Kemp, JaKobe Shepherd and Jordan Shepherd. Full Military Honors were provided by Wellsville VFW Post 3056. Missouri Military Funeral Honors Team "Marine Corps Division," folded and presented the United States Flag. Memorial contributions were suggested to St. Paul Missionary Baptist Church c/o Myers Funeral Home, 203 East Bates Street, Wellsville, MO 63384.